Only a few inches tall, but can form mats in time. For full or part shade, can tolerate some dryness. Quick to disappear so you can have something else to take its place later in the season. This photo is of species Cardamine quinquefolia. 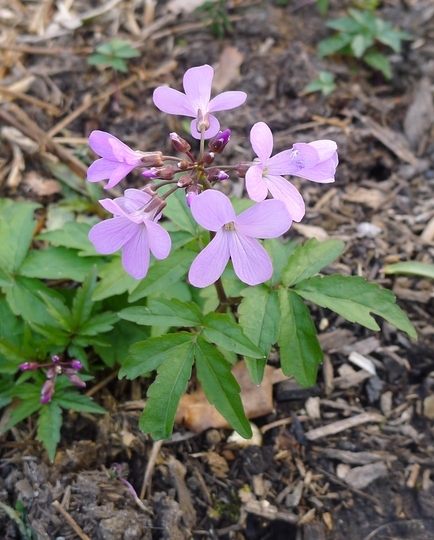 See who else has plants in genus Cardamine.